The plaintiff filed a wrongful discharge suit against his employer when he was fired after he lodged a workers’ comp claim for a work-related injury. A jury sided with the plaintiff and awarded him about $4.2M including some $3.6M in punitive damages. The employer appealed on the basis that the court allowed some damaging documents into evidence at trial. Affirming the jury verdict, the court in Holland v. Schwan’s Home Service, Inc., 2013 IL App (5th) 110560 answered some important questions concerning the reach of the attorney-client privilege, the contours of the work-product doctrine and the application of the business records hearsay exception to an insurance claim file. 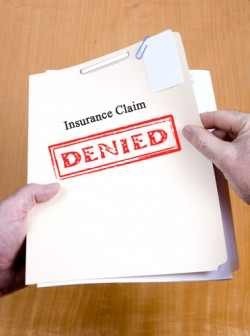 The plaintiff’s insurance claim file ( the “Claim File”), a document authored by both the defendant’s insurer and its third-party claims administrator, was a key piece of evidence relied on by the plaintiff at trial. The employer argued that the file (which contained some damaging admissions by the employer and the administrator) was privileged and should have been excluded at trial. – relevant information that doesn’t disclose an attorney’s “conceptual data” is freely discoverable. Under these guideposts, the Fifth District found that the Claim File was properly admitted in evidence at trial over the defendant’s A-C privilege, work-product and “in anticipation of litigation” objections. First, there was no record that the Claim File was prepared for the “dominant purpose” of transmitting it to an attorney in order to protect the insured’s interests. Instead, it was a general business record that consisted of basic information about the plaintiff’s medical condition. The court found that the plain text of the Claim File and accompanying notes from the adjuster showed that the File was made in the regular course of the insurer’s business and wasn’t created for the purpose of defending the plaintiff’s retaliatory discharge claim. As a result, no attorney-client or work-product protection attached to the Claim File. (¶¶ 201-202). Take-aways: the attorney-client privilege applies to insurer-insured communications. Especially if the main purpose of those communications is to protect the insured in a potential lawsuit. In addition, a document prepared in the regular course of business, by definition, will almost always not be protected as a document prepared in anticipation of litigation. Also, a document that doesn’t contain mental impressions or legal theories and strategy will likely be viewed as a general business record and won’t garner attorney-client or work-product doctrine protection.